Top manufacturers in the hypercar market can not afford to be left behind. McLaren has this in mind with maybe the most futuristic look we’ve ever seen. The upcoming BP23 Hyper-GT promises to be something special to replace the 5 year old Project One. McLaren is determined to release the fastest road car they have ever made in 2019. 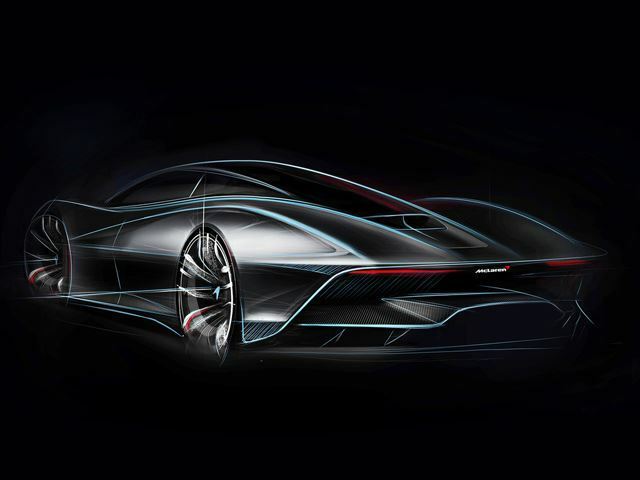 This puts it in direct competition with the Mercedes-AMG Project One and Aston Marton Valkyrie. All of these will be hitting the market in the same year so hypercar fans have plenty to look forward to. McLaren press releases are very light on details for the general public. The one plus two seating arrangement puts the driver in the center like the well known F1 did before. The BP23 is more meant for the road, not focused for specialized track performance. More than 1000 horsepower is coming from a 4L V8 boosted by a twin turbo setup. In order for this to be the fastest McLaren hypercar, it will have to beat a 240mph top speed. The BP23 comes with abase price of $2.5 million; only 106 units are on the production schedule.